A consent order is a document that is prepared setting out the financial agreement that a couple have reached on divorce. It is sent to the court and once a judge has reviewed and approved the consent order it will be stamped and become binding. What is normally dealt with in a consent order? The consent order deals with the financial arrangements including maintenance, lump sum payment, property transfer and pension sharing orders. The order would also normally dismiss the claims that ex-spouses otherwise have against each other’s estates, either immediately or, in a case where maintenance is being paid, when the maintenance ends. Why have a consent order? If there is no consent order then either spouse can make an application in future provided that the application is made before remarriage. This means that if, for example, one spouse inherits money or wins the lottery the other may make a claim. An example of this at the beginning of 2015 was the Supreme Court ruling that the ex-wife of energy supplier Ecotricity’s founder could proceed with a claim against her former husband even though it was more than 20 years since they divorced and his wealth (said to be £107,000,000) had accumulated after the marriage. It is sensible to take legal advice because the order should include technical terms dismissing all the claims that spouses have against each other. The solicitors can also deal with filing of the order at court and note the order is not binding unless or until it is approved by the judge. Do both parties have to have legal advice? It is advisable for both to have legal advice on the financial settlement but if one person does not wish to, provided he or she confirms that the opportunity to take legal advice has been provided and the order is understood the judge will still approve the order provided the judge is also happy that the order is an appropriate one to be made. Will the judge automatically approve the consent order? No, the judge has a duty to check whether the order is fair and the order needs to be accompanied by a summary statement called a statement of information. This document sets out key dates (including date of marriage, date of separation and children’s dates of birth), a summary of the capital, income and pension position and confirmation as to whether for example the mortgage company and pension trustees have approved the order. The judge may ask for an explanation as to why the order is fair or check that an unrepresented spouse has had legal advice. If, notwithstanding the judge’s queries or concerns, both still wish to enter into the order it will normally then be approved. Once the order has been approved by the court and stamped it can only be varied if both parties agree or one party successfully applies to vary or appeal the order. An order would be varied if, for example, a change in circumstances meant the paying spouse could no longer afford maintenance and appealed if there was a significant change in circumstances rendering the order inappropriate. It is unusual for orders to be successfully appealed due to a change of circumstances but in the case of Barder the husband was successful after tragically the wife committed suicide and also killed their children. What happens if we do not want to get divorced yet? Any agreement is not binding unless or until it is approved by the court. It is only possible to have an order approved if there are divorce proceedings. In practice, if a couple do not want to have divorce proceedings immediately their solicitors may draw up a deed of separation. Please note however that this document will not be legally binding unless or until converted to a consent order and approved by the court. If there has been a change in circumstances and one spouse wishes to renege on the previous agreement the court may decide that the terms are no longer appropriate. It is advisable to have a consent order and people sometimes commence divorce proceedings to enable one to be obtained. 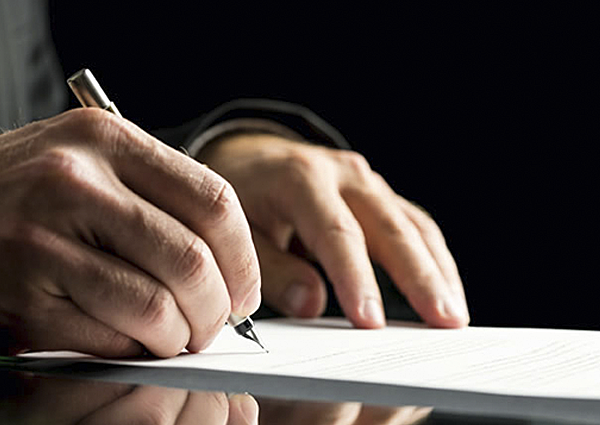 You should take legal advice on the settlement that is being proposed and solicitors should draft the consent order. The consent order will then be signed by both spouses and sent to the court for a judge to consider and hopefully approve. In order to decide whether or not the order is appropriate the judge needs to see a statement of information setting out the background to the marriage and financial position of both spouses. If the judge is happy the court will then stamp the order and send it to both parties (or their solicitors) and this then creates a binding agreement, unless or until such time as it is varied (either by consent or following an application to the court, or successfully appealed).